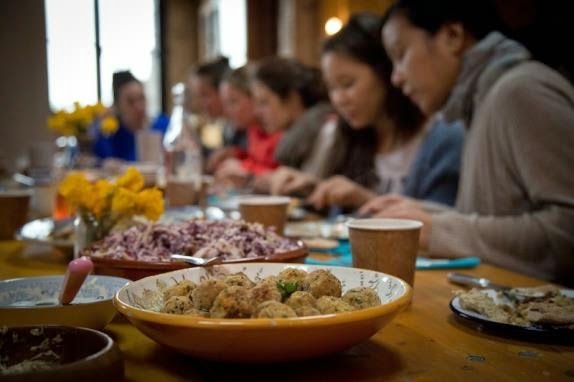 Returning for April - The Yoga Brunch Club's combined yoga class and brunch in Brixton. Please bring your own yoga mat (or email yogabrunchclub@gmail.com to reserve one of theirs - but numbers are limited). All levels of yoga are catered for, and tickets are just £30. Spring is here and The Yoga Brunch Club is back for April and May teaming up with the lovely ladies at Pickled Plates (Hanna&Polly). To bring you a chilled Sunday at Brixton East Gallery, including yoga, post class blowout brunch and a tailormade playlist from our resident DJ. YBC is the perfect way to wind down the weekend and stretch out your Sunday. We guarantee you will leave feeling a little more zen, calm and very well fed. All levels welcome so please come. Find us at Brixton East Gallery, a beautiful hidden gem 5mins walk from Brixton Village. Class starts promptly at 1.00pm so please arrive in good time. All levels of yoga experience welcomed and encouraged."